4 Bedroom Detached House For Sale in Uxbridge for Guide Price £1,400,000. Hamptons International offers a charming Grade II listed 4 bedroom 2 bathroom detached character home with 90ft+ private rear garden with a detached garage (with home gymnasium above) & gated off street parking in the heart of the village (between the bridges). 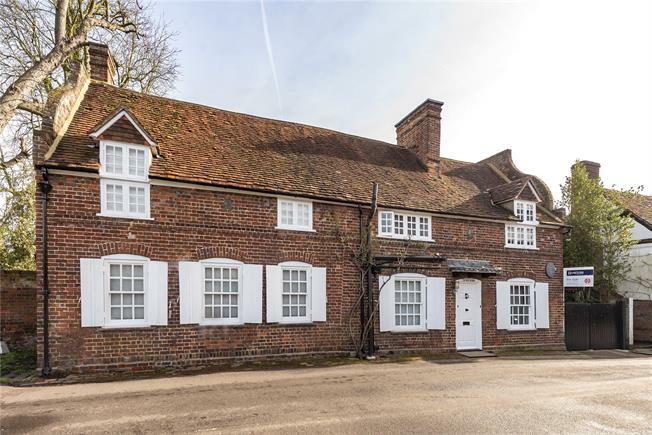 The property is well located, between the bridges, in the heart of historic Denham Village. Approximately half a mile by local footpath to Denham Station and shops. Rail links to London Marylebone (fast trains take approximately 20 minutes). Within Denham Village are an excellent variety of pubs and restaurants, church and the rural walks of Denham Country Park are nearby. To the right hand side of the property there is gated vehicular access to the off street parking area (for two vehicles). The rear gardens are a particular feature, being over 90ft in length and mostly laid to lawn with beautifully landscaped and well stocked mature planted borders. South Buckinghamshire is renowned for its excellent range of schooling both state and independent - further information can be sourced via www.buckscc.gov.uk, www.southbucks.gov.uk, www.ofsted.gov.uk or www.schools-search.co.uk (using the Postcode UB9 5).